سواءً كنت مسافراً بغرض السياحة أو العمل, Montana Palms Holiday Apartments هو خيار عظيم للإقامة خلال زيارتك جولد كوست. إن موقعه الجيد الذي يبعد 4.5 km فقط عن مركز المدينة يساعد النزلاء على الاستمتاع بمعالم المدينة ونشاطاتها. يوفر الفندق بفضل موقعة الجيد وصولاً سهلاً إلى أهم معالم المدينة.
. استمتع بالخدمات الراقية والضيافة التي لا مثيل لها بهذا الفندق في جولد كوست. تتضمن الميزات الرئيسية في هذا الفندق: واي فاي مجاني في جميع الغرف, تخزين الأمتعة, صف السيارات, غرفة عائلية, مرافق للشواء. تنعكس أجواء Montana Palms Holiday Apartments في غرف الضيوف.إغلاق, مناشف, مرحاض إضافي, غرفة معيشة منفصلة, تلفزيون بشاشة مسطحة هي بعض الميزات الموجود في العديد من الغرف. يمكنك الاستمتاع بالأجواء المريحة التي تقدمها مسار جولف - ضمن 3 كم, حمام سباحة خارجي, سبا, ملعب للأطفال, حديقة طوال النهار. يحظى فندق Montana Palms Holiday Apartments بموقع ممتاز وخدمات يصعب منافستها. مكتب الاستقبال مفتوح من الساعة 9:00 صباحًا إلى الساعة 5:30 مساءً في أيام الأسبوع العادية، ومن الساعة 9:00 صباحًا إلى الساعة 12:00 ظهرًا أيام السبت. يجب على النزلاء الذين سيصلون في وقتٍ آخر غير الأوقات المذكورة أن يتصلوا بالعقار مباشرةً قبيل وصولهم؛ وذلك حتى يمكن إجراء ترتيبات بديلة. It was very disappointing place. First of all, when we checked in, the room was dusty. The floor, the lamp on bedside tables were dusty, the kitchen cupboard and bed head was full of fingerprints, even the battery in the TV remote control didn't work. there were dead spiders inside the kitchen cupboard. The housekeeping service took place only once(!) for 10 days. They only changed the linen and towels, no cleaning the bathrooms. The swimming pool was dirty too! Was clean, manager was friendly, and was good value at the price. Not a lot of frills, but it wasn't expensive. Still came with free wifi, which was important this time. I stayed at Montana Palms following a recommendation from a lady I know. Having stayed there for almost 2 weeks, I would concur with her recommendation. This is an excellent facility, well appointed and with easy reach of Surfers Paradise and also the beach is only a stone's throw away. I would definitely stay there again. We arrived early well before check in and just asked if our baggage could be stored until check in. They however allowed us to check in early as the apartment was already ready. Excellent service and very hospitable staff. Would recommend to any one. Air-con only in living room, bedrooms have ceiling fans only. Wanted to use the microwave but it was dirty, ended up not using it. Washing machine knob was loose and was difficult to get the washing machine to start. We spent 3 weeks in this apartment. Its good location. My wife, boys and I loved our week at Montana Palms. 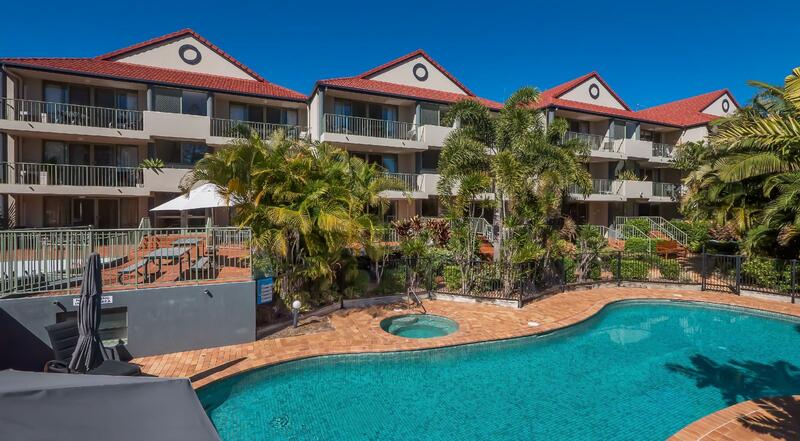 You won't find better value for money accommodation on the Gold Coast. Location was amazing with an easy walk to the beach, restaurants and shops including Pacific Fair. Was fantastic! Close proximity to eateries, surf club was amazing! The beach at the end of the street one way, shops and restaurants the other end. All within easy walking distance. Safe, secure car parking, plenty of space for a family of four! Easy to get in and out of, everything within reach. Was fantastic, will definitely be there again for our next Gold Coast holiday! We were very happy about the kitchen with oven, which we could make warm bread in the morning. 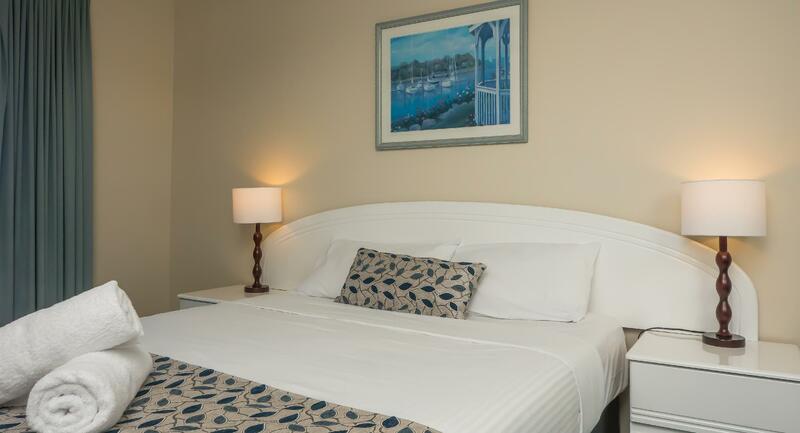 The bed is clear and the location is prefect to the beach. Good,but because of torrential rain at time access to garage was difficult as one had to go out in the weather.Internal entry would have been a godsend,and a lift would also be very handy.To pay $5 per day for A/C seemed excessive as it should have been included in price of room,but my own fault for not checking in first place,otherwise most pleasent stay..
We enjoyed our stay and will definately stay there again. Location, very close to beach!!! The beds and lounge suite were very comfortable. The apartment was a good size for two couples. The beach was at the end of the street. Very enjoyable stay. There were no issues with the accommodation. I highly recommend Montana apartments to everyone. Fantastic place to stay - beach at one end of the road, public transport at the other end. Place was convenient but the wifi can be improved. There is no free wifi provide and paid wifi is not very stable and available only in the hall of apartment. Beach/fast food/good coffee/convenience store/bus stop all 2 mintue walk. This is an excellent apartment for a family. I have 4 children between the ages 12 and 19. There was plenty of room even with a day bed in the lounge. It was a perfect location. The beach one direction and Pacific Fair (large department stores/speciality shops/movies/groceries) the other. KFC, Sizzlers, Pizza shops all 2 mintues away. The Mermaid Beach Surf Club is at the end of the road. 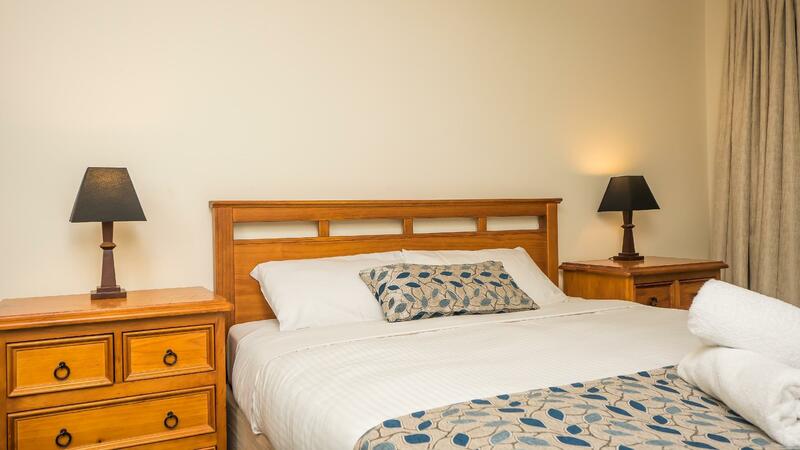 The 2 bedroom unit was fully equiped with all the cooking utensils you need to arrange a family meal. The oven and grill was clean and worked well. The front loader washing machine was fast and quiet. Although there is a dryer I found the large clothes line across the back balcony was an easy alternative. I had a wonderful 5 night stay. There is an average size pool and lovely well kept gardens surrounding. We didn't use the pool as the beach was our focus. The Managers were very welcoming and made our stay most enjoyable. Everything about this hotel was wonderful. Would definately stay again. Enjoyed the room and location immensely. Great for families with young or older children. Very quiet and the service was friendly. The rooms were spacious and had everything you need. Can't wait to book our next holiday! !